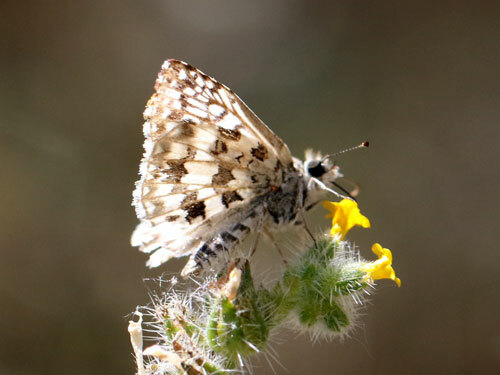 ARIZONA April 2015: We saw very few individuals of this species. 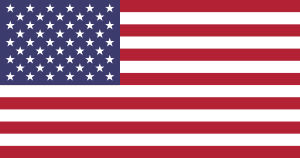 It is confined to the SE. 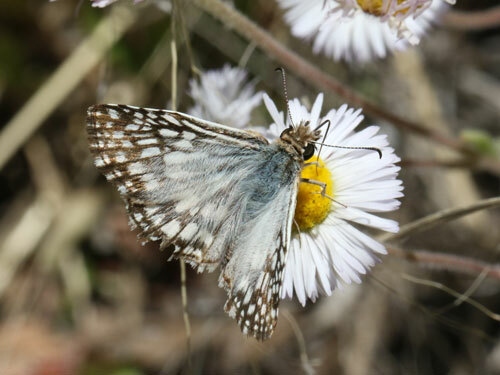 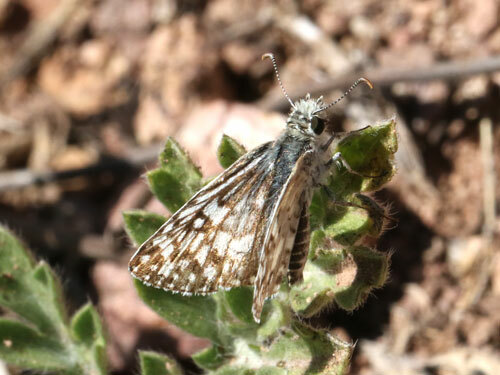 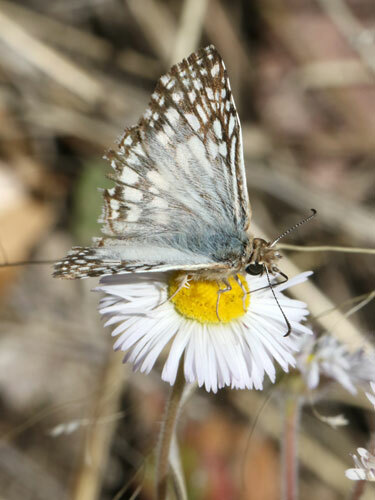 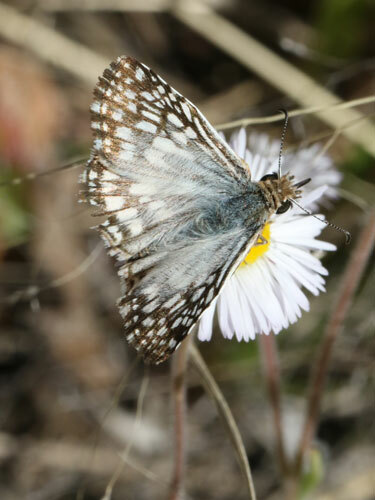 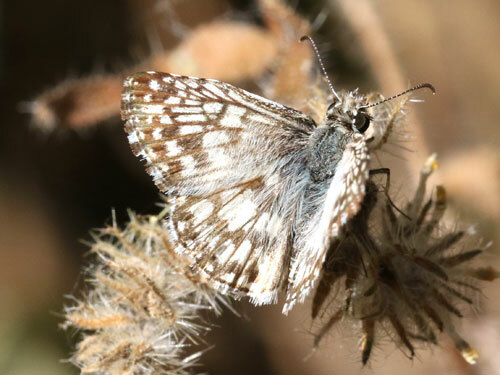 It is separated from the closely similar Desert checkered skipper by the very extensive white basal scaling and the checkers merging on the forewing just below the apex.